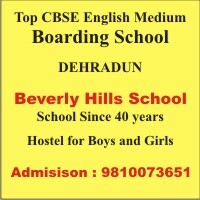 Daily Time Schedule � We operate traditional 7 Day Boarding Schedule with an Academic and Co- curricular Time-table, from Monday to Saturday, which incorporates tuitions, morning-evening preps; remedial classes; extra classes; evening sports, learning of dining etiquettes; Individual counselling; educational trips and excursions; Community Service; Industrial Visits and much more. From Sunday is reserved for outings & opportunities for pupils to catch up with themselves. Monitored TV viewing of daily English News and permitted educational channels. In dorm cool filtered drinking water facility round the clock. 5 Times Meals- Hygienic & nutritionally well balanced diet for both Vegetarians & Non Vegetarians is served in a spacious and well ventilated dining hall. Supervised internet access for assignments. In Campus tuck shop for weekly purchase. Laundry � Thrice a week Borders are permitted to drop-off their essential garments and heavy clothes at in house laundry, ensuring students maximum time is devoted on personal development. Our well trained staff see�s that students integrate fully and receive an educational experience which is enjoyable and is valued afterwards. Each girl is a welcome member of the Cambridge family for who they are; no-one needs to be worried about being overlooked, misunderstood or side-lined. This inclusiveness is at the heart of our school�s strength. After all, good teaching depends and thrives upon the quality of the relationship between teacher and student. The better they understand each other, the more fruitful and lasting are the educational gains.